I started reading a fascinating historical book written by Christy English. The book discusses the life of Alais and Eleanor. The story is about kings, queens, princess, princes, and other royal family. 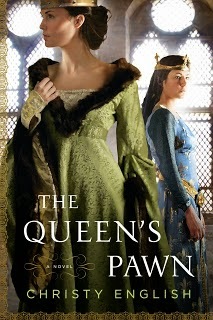 The queen falls in love with Alais, who happens to be her ex-husband's daughter. Eleanor was once married to King Louis, but she is now married to King Henry II. Her son Richard (the Lion heart) is to be married to Alias, a princess of France. The lives of the Kings of England and France would forever be entwined together, because of the marriage of Richard and Alais. Eleanor the Queen loves Alais and sees her as her own daughter. Take time to read this book to learn how it ends. You will enjoy reading a piece of history and learning more about each character. On a scale from 1 (disliked) to 10 (Wonderful), I give this book a 10! Christy English is a wonderful writer who allows the reader to see Eleanor's and Alias's point of views. This was fascinating to me and I am interested in reading more of her work.